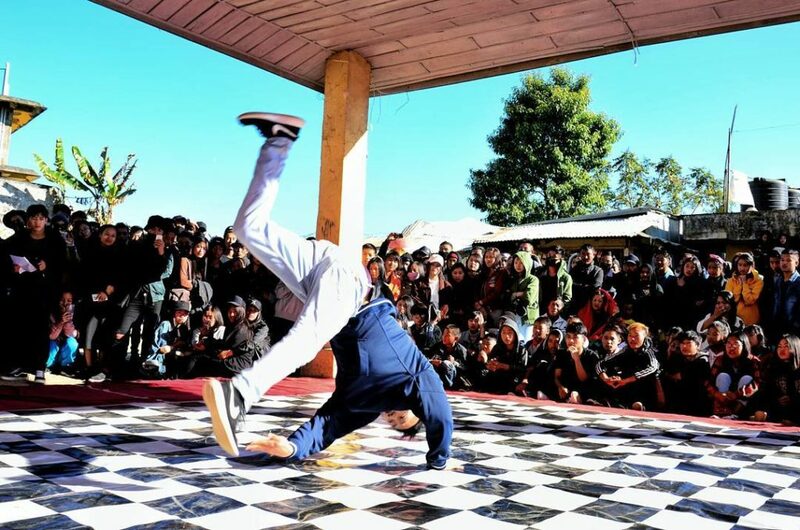 A self-taught b-boy dancer, Sorenzan Vashum hails from Tallui village located in the district of Ukhrul, Manipur. Inspired after watching his sisters perform in school programs, Sorenza took on dancing at a young age and hasn’t stopped since. Already a winner of a few b-boy battles, Sorenza practices for hours everyday. 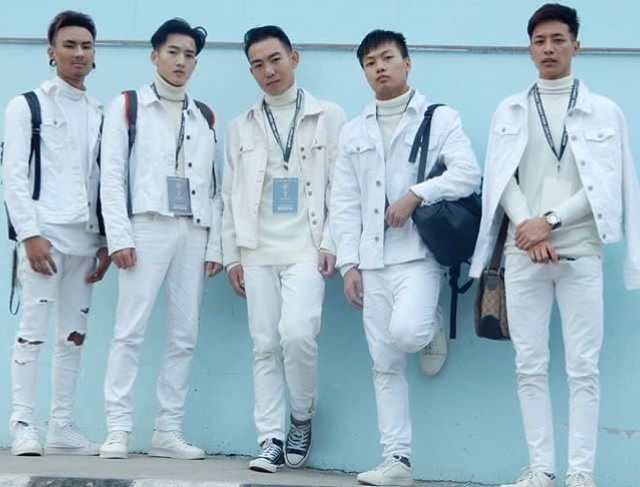 He also talks about his dance group, “Generation Squad”, where he has found a new family and learns a lot from the crew members. Let’s get to know him better! 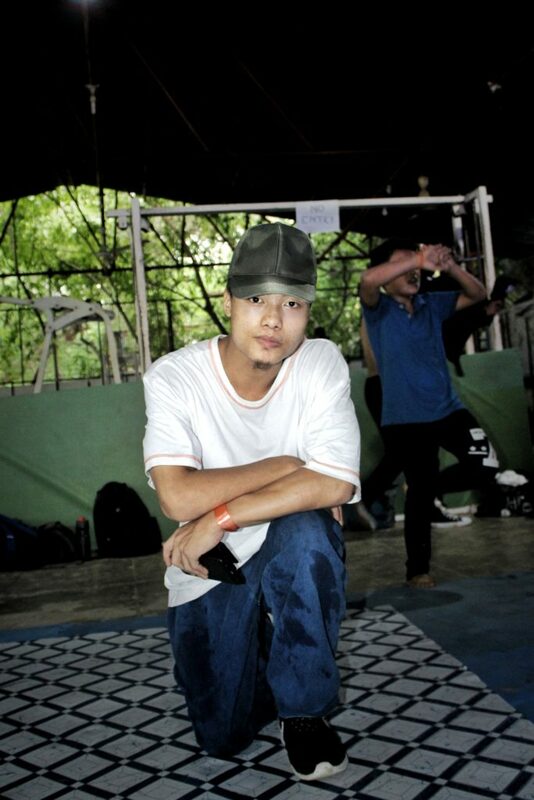 We had a chat with Sorenzan Vashum, B-boy dancer from Manipur. He talk to us about his passion for dancing since his younger days, how it got started, inspirations and more! Hello, introduce a little about yourself. Hi, my name is Sorenzan Vashum and I’m 20-year-old. I was born and brought up in Talui village, located in Ukhrul town of Manipur. 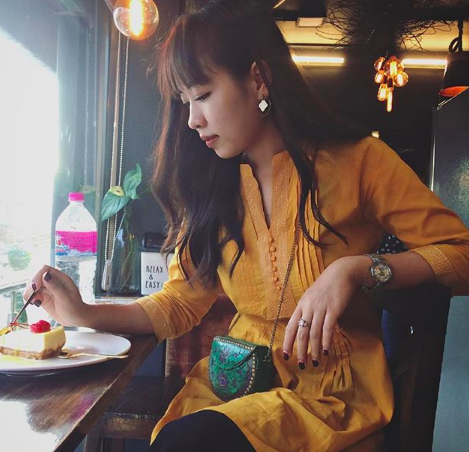 Currently, I’m based out of Delhi. Introduce us to your work as a dancer, what got you started? I’m a full-time b-boy dancer. My stage name is “Bboy Neros”, where ‘Bboy’ is a word used for the dancers who do breaking (a dance form) and ‘Neros’ is taken from my short name “Soren” but spelt backwards. I find the name even more meaningful when I form an abbreviation of it. N-Never; E-Ever; R-Retreat; O-Or; S-Surrender. For me, dance is everything. It has become a part my life for it really brings me happiness. I’m really thankful to God for blessing me with this precious talent. All I want to do is pour out my heart and dance for Him. I cannot do anything without Him. What sparked your interest in dancing? When I was 10-years-old, I first saw my two sisters giving a dance performance on teachers’ day at school. They were so good and such an inspiration that I started to think I wanted to dance like them too. From that day onward, I never skipped watching their performances. Moreover, I remember watching a movie called “Step-up” couple of times on the TV – contemplating that human beings can be insanely talented and it was just so beautiful to watch. Back in my hometown, I used to see the local people having a dance practice in the playground grass and even in the paddy field. I was so shy to approach them, but since I was really interested I took the courage of asking if I could learn and join them. So, by the time I turned 12, my friends and I formed a dance group called Fiction Crew. We performed in church events and some other small events too. It was in 2014, when we formed a new group called Generation Squad. I was the leader and this crew had changed my life completely. They are my family and we share our problems, our happiness with each other. Sorenzan making a b-boy pose for camera at Lodhi garden, New Delhi. 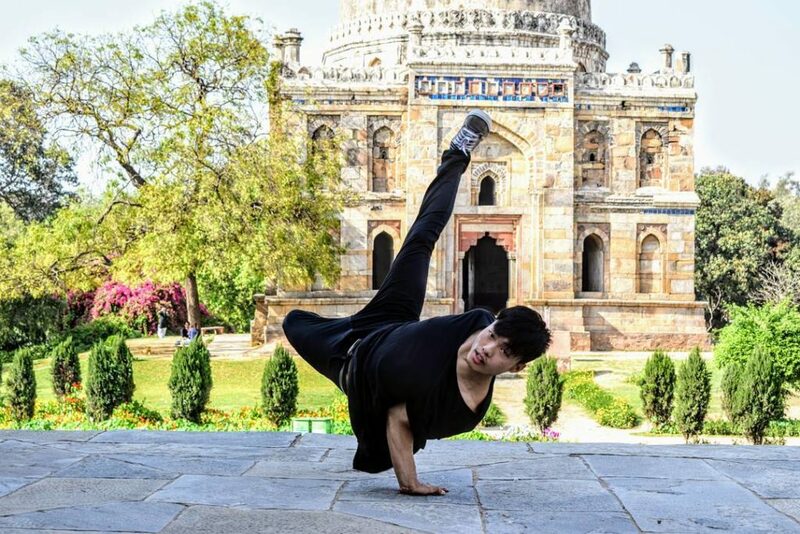 Sorenzan making a bboy pose for camera at Lodhi garden, New Delhi. How has your upbringing influenced your work and what are the challenges that you face? 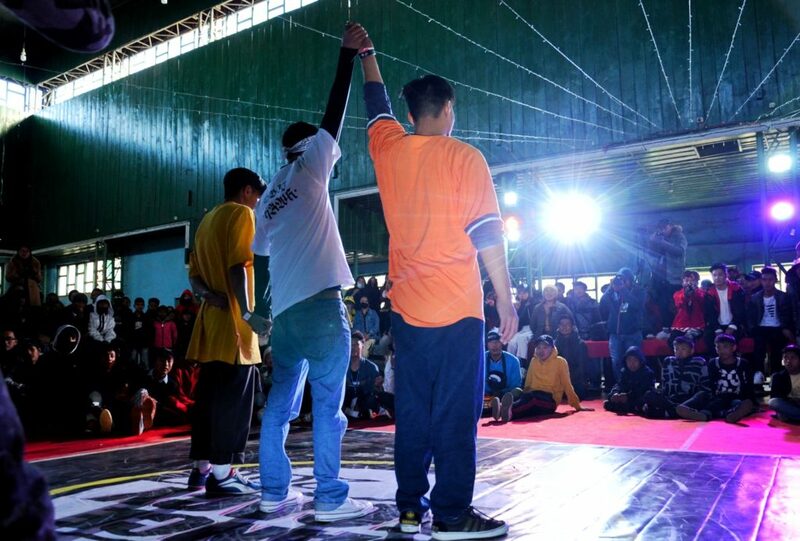 Bboy/Breaking dance genre is one of the hardest dance form. It requires a lot of strength, stamina and hard work. Also, we need to take risk and sacrifice our body. I practice and grew up in a place called Ukhrul, where only a few parents supported dancing at that time. Also, we don’t have proper place to practice. I used to practice in a playground, full of stones. on hot sunny days, and there were times when I got sunburned. Sometimes I used to secretly get inside my school to practice just so that nobody would see me. People makes fun of me asking if I’m mopping the floor while I’m practicing. I felt really down at times, but despite all that I never thought of giving up, even when I fractured my own body. The biggest challenge would be having no proper place to practice. And there are so many people who really love dancing, yet they are struggling just like I did. The upcoming dancers inspires me to dance more, so I want to bring change in my hometown. I want to promote dance culture and that is why I have to keep going. How do you manage your dance practice routine? If I don’t have any important work, I used to practice daily for about 2 to 3 hours, except for Sundays. But now I’m pushing myself harder and practicing 4-6 hours a day. To know more about Sorenzan Vashum, follow him on Instagram! Also show some love by subscribing to his YouTube channel. Here’s Soren dancing off in Who’s the king India, 2019 at Chennai.